Travel with children can easily be disaster . without planning , experience and some flexibility, you can end up with a face full of hemorrhoids cream. 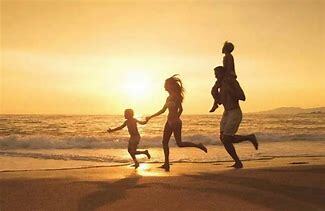 But if you take just a little time to prepare and adapt, you will have lasting memories that are as pleasant as the holiday photos suggest, so check out these tips , hacks, suggestions and ideas for making traveling with kids a breeze . Fashionistas might tell you the much-maligned accessory is making a comeback , but the wise parent shouldn’t be bothered about that . Get one because you can keep all your passports, phone, local currency, hotel keys, wet wipes, even a pack of Pokémon cards with you (and easily accessible) at all time . Trust us , it will change your travel strategy forever . oh , don’t trust the kids to pack for themselves , either . they won’t do a good job. That means setting off early . order taxis in advance , check in online , have mid-journey mealtimes planned. winging it was fine before you had kids and will be fine when they are older , but nothing is more likely to introduce stress to a travelling party including youngsters than last minute panics. Disposable nappies are sold in most places in the world . by all means take a supply with you , but you can probably forgo shoving a crate of pull-up pampers into a suitcase the same goes for the toys . you will need some for entertainment, but you don’t need to transport a full nursery with you . seeing new things and experiencing another place should be thrilling enough . just make sure you pack teddy , though. We might have mentioned wet wipes already . Have some ready . As well as wiping sticky hands , faces and bottoms, they are invaluable on long trips. they will be a bath , flannel, tissue, and much more , so place them in your overnight bag . this essential holder is your insurance against travel delays and emergencies . while the bum bag has trip essentials , this is where to keep a spare book, teddy change of clothes and snacks . Children need to be entertained . classic travel activities such as I-spy, drawing or a quiz can fill hours of journey time with the order and routine of an airport or long journey it is important to remember the trip should be about having a good time together . Most airlines have seats with bassinet attachments at the front of economy sections . these collapsible baby beds are usually free but have to be booked in advance . Do it . We understand that holidays should be relaxing and it is good to break the shackles of school-run and scheduled after school – activities . Sticking to some semblance of a routine , however , will keep important boundaries and give you guidelines within the holiday . Allowing children to take a turn on your smartphone or tablet , however , can cut out boredom on long car journeys or while standing round in airport . A few simple apps like Audible can keep children entertained. Have it and be covered . if you come back without having to make any claim then consider it money well spent and your self lucky . you don’t want to be stuck with medical bills or lost luggage costs when you should be enjoying a well -deserved break. Airlines transport them free of charge and a collapsible stroller has many functions you will appreciate while away . as well as giving a toddler a rest , it can be a makeshift bed , trolley chair and even toy while you are out and about . A day in a foreign country will probably teach your child more than a week in school . foreign foods , different cultures, sights, sounds, smells, languages and experiences are learning opportunities when experienced first – hand. To friends, relatives , teachers or neighbors . it doesn’t matter who , they will appreciate the thought and it is a good evening activities to help kids wind down before bedtime . Loads of attractions have discounts for advanced online bookings or family passes with reduced rates. looking up local editions of time out might be helpful. If we could offer you only one tip for the holidays, sunscreen would be it. the long term benefits of sunscreen have been proved by scientists, whereas the rest of our advice has no basis more reliable than time out’s own meandering experience . Also – check it is not hemorrhoid cream before you smear it on your face .